Cosmetic dentistry at Summer Hill Smiles is about creating a natural looking healthy smile that blends with existing structures. We focus on being great at matching colours and blending new restorations with the smile and face of the patient. One of the options to replace a missing tooth is a dental implant. A dental implant is a synthetic tooth replacement often made with a core of titanium which is then covered with a natural looking ceramic colour matched to your teeth. Dental implants can be used to replace a single tooth, several teeth, or to support partial or full dentures. Implants and crowns remain inside the mouth and do not require any adhesives to hold them in place. Another option we offer to replace a missing tooth is a dental bridge. When creating a bridge, we use the support of other teeth to hold on to the bridge. Creating a bridge for you is a quick procedure, and we can give you a new tooth on the day of preparation, with a permanent tooth to match your smile after a few weeks. Summer Hill Smiles offers Zoom Teeth Whitening for a faster whitening option. 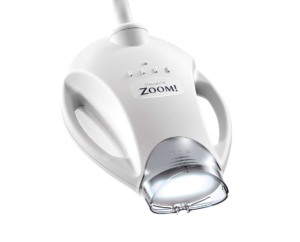 Professional teeth whitening with Philips Zoom is safe, effective, teeth whitening treatment used by millions of people worldwide. Take home kits involve wearing a mouth guard with whitening gel in place for as little as 15 minutes at a time. These kits whiten teeth at a slower rate, but usually with less sensitivity and longer lasting results. If you want to know more about our take home kits tailored to your needs, contact us now.